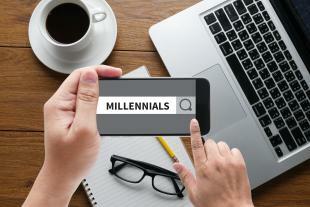 It’s true, Millennials are entering the workforce in droves and often leaving employers scratching their heads as to the best way to handle these digital natives. No longer is the business world dominated by traditional thinking when it comes to hours, work habits, or even employee training. With Millennials at the helm, the professional world is bound to change, and when it comes to corporate learning initiatives, elearning is the key. With the help of this infographic, you can learn more about what makes Millennials tick while also gaining insight into the reasons elearning is perfect for the Millennial employee.